From the West Coast to the East, South Africa has some of the most magnificent scenery in the world. 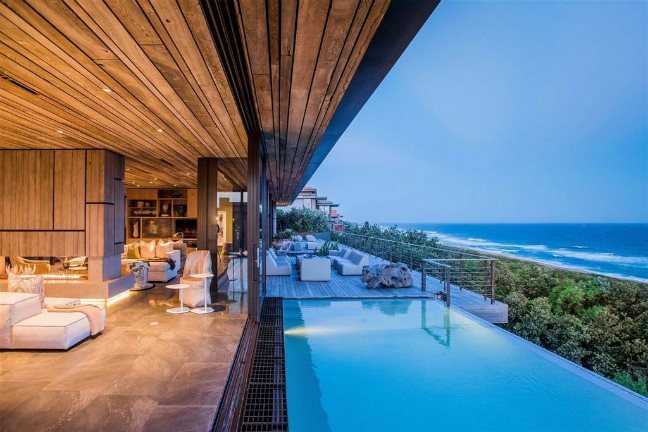 Whether it’s Atlantic Ocean views or the Johannesburg skyline, what better way to enjoy these beautiful views than from one of these extravagant mansions? With price tags to make your eyes water, these homes have everything you could ever need, and more. We guarantee you’ll be green with envy by the time you reach number 10. 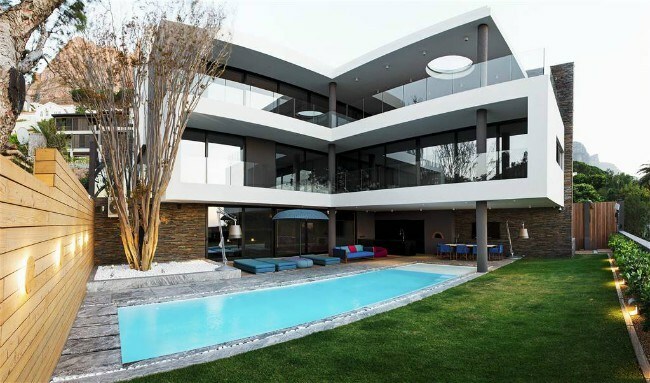 This mansion is on the market for a whopping R150 million. Yes, you read correctly, R150 million! 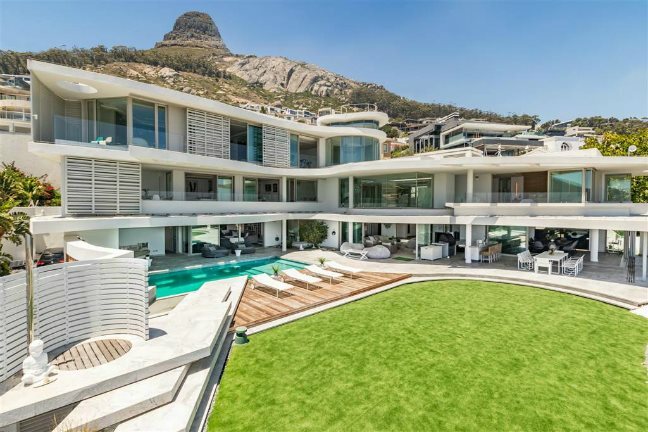 It’s nothing short of a billionaire lifestyle in this 5 bedroom home in Fresnaye with 4 en-suite bathrooms, an outdoor entertainment pavilion and gas fireplaces. A wine cellar, sauna and steam shower are just a few of the amazing extras this home has to offer. If that wasn’t enough, the view from this masterpiece is to die for. 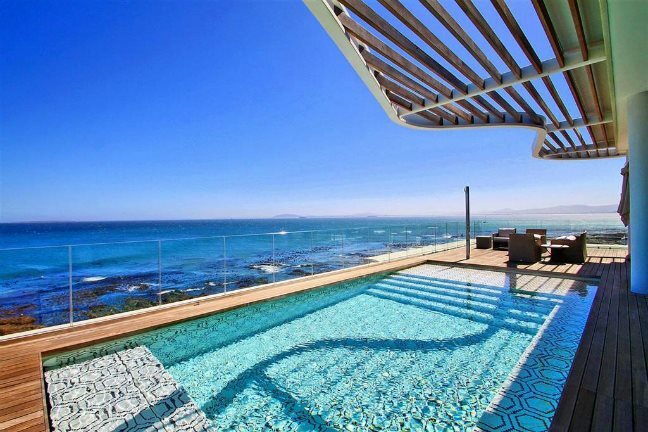 It’s another R150 million home with top notch ocean views. 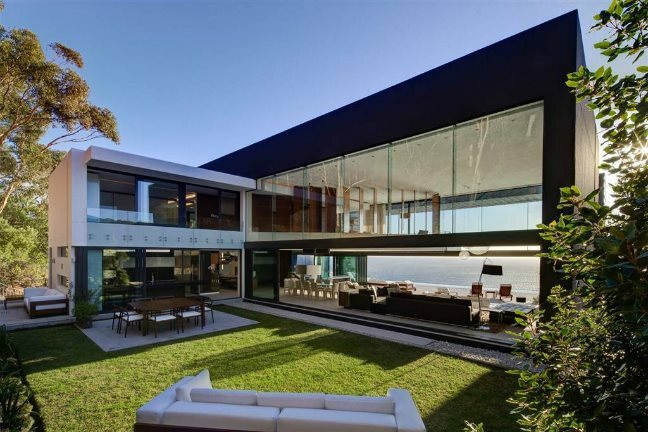 In case the first one wasn’t good enough, this one boasts ocean views from all areas of the house. You’ll feel like you’re on top of the world in this mansion. Not only does it have a gym, cinema room and rim flow pool, but it also has a zen-like mountain garden. Perhaps one of the most interesting features of this home is that all curtains and blinds are fully-automated. Luxury enough for you? If the penthouse life is more your style, this may just be the perfect spot for you. Enjoy breath-taking ocean views from the private rooftop pool and a grand entertainment area, leading out onto the roof deck. This penthouse offers an abundance of light and luxury specifications, designed by Fabian Architects. Soak up sunrise and sunset views of Table Mountain from the wrap around terraces that include a fitted barbecue. This stately property consists of the main 7-bedroom home, a cottage, a flatlet and a summer house. A wellness centre with a heated pool, sauna and gym is one of the best attributes of this masterpiece. The inside of this home is adorned with chandeliers, and exposed trusses and sandstone flooring, which give it a sophisticated feel. This property is truly a magnificent place to call home. 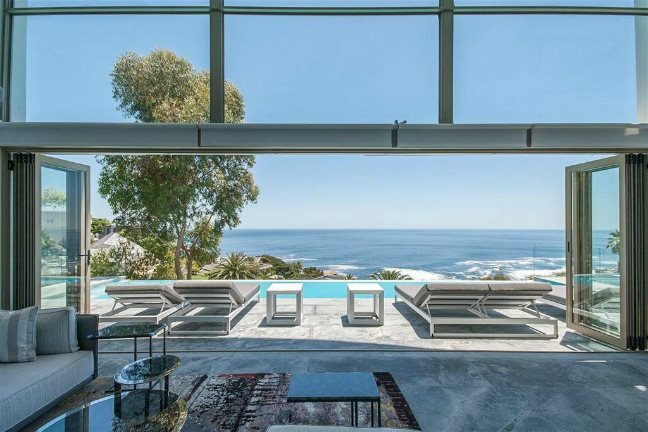 This majestic spot in Bantry Bay is the definition of open and airy, using natural light as much as possible with large windows and glass doors. You can experience the full magnificence of the ocean view from one of 2 rim-flow pools overlooking the sea. To share the view with your friend and family, there’s a party bar opening onto one of the pools. This home has 4 en-suite bedrooms and a guest suite, making it the ideal place for entertaining guests. This home boasts a 180 degree sea view and has had no expense spared in the design, execution and furnishing. Come rain or shine, each of the swimming pools (there are 3!) are positioned perfectly to be enjoyed at any time of day, in any weather. Along with everything this impressive home has to offer, residents also have access to the golf course, tennis courts and various other amenities that the Zimbali Coastal Resort has to offer. This home is positioned in a world-class spot, right on the edge of the V&A Waterfront, overlooking the front yacht basin. 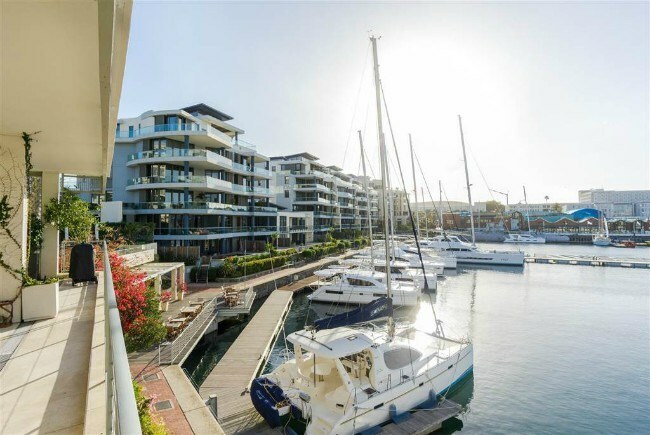 This apartment is arranged over one floor and has full 360 degree views of Table Mountain, the canals and the yacht basin. All 4 bedrooms have en-suite bathrooms and there’s a gas fireplace for chilly winter nights. This apartment is the epitome of elegance with Russian beech wooden flooring, cedar lined cupboards and even underfloor heating. It’s simply a masterpiece with top notch views. Welcome to the pinnacle of luxury. 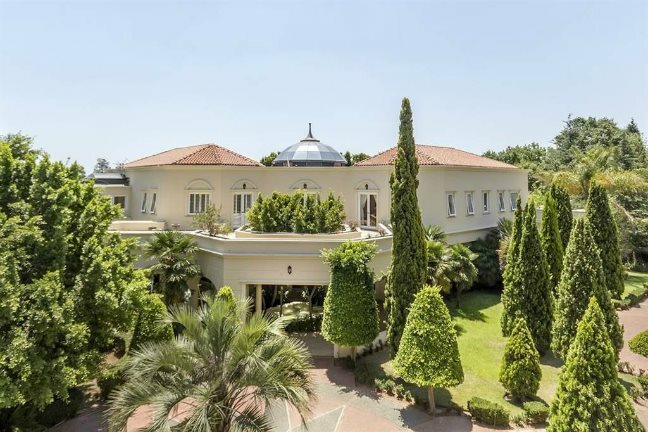 This spectacular 6 bedroom residence oozes class with oversized glass windows, Italian marble tiles and stunning gardens. The large patio cascades down to a tropical, African-inspired poolside. All in all, this beautiful home is a harmonious symmetry of styles and designs, resulting in a truly elegant space. 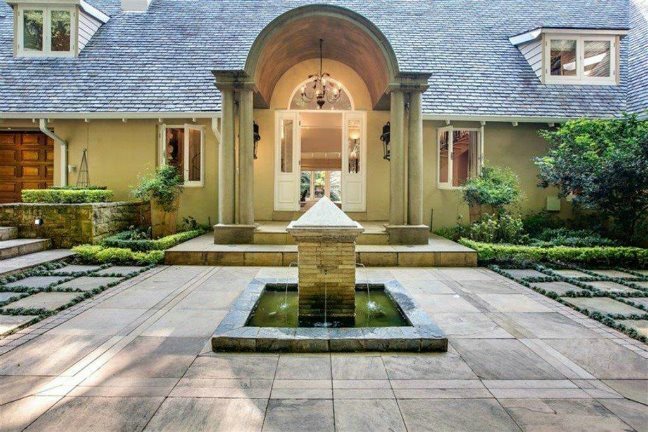 Walk through the doors of this home and enter a world of spectacular architecture and unique designs. A Koi pond, a pub room and majestic mountain views are just a few of the amazing features that this home has to offer. With 5 luxury en-suite bedrooms and incredible dining areas, this home is the perfect place for a family who loves to entertain. A you walk into this mansion, you’ll be greeted by a wood fire burning in the entrance. This sets the tone for the unique style the rest of the home has. A spiral staircase, feature fireplaces, library area and handmade mosaic basin are a few of the features that make this home one-of-a-kind. This masterpiece of a home uses state-of-the-art technology and security features, to make residents feel comfortable and secure. Whether you enjoy a relaxed life by the sea, or the hustle and bustle of a big city, these contemporary homes are sure to make you green with envy.